Dr. Hal Puthoff is Director of the Institute for Advanced Studies at Austin. A theoretical/experimental physicist, his research ranges from theoretical studies of gravitation, inertia, cosmology and energy research, to laboratory studies of innovative approaches to energy generation. 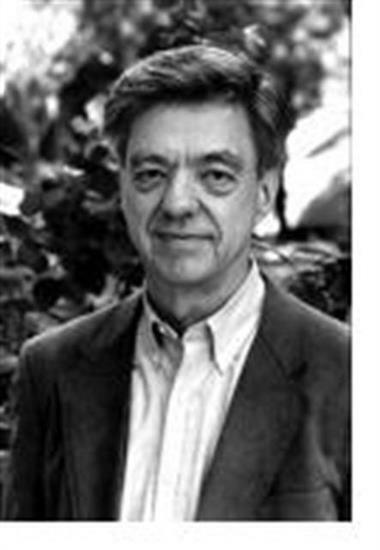 A graduate of Stanford University in 1967, Dr. Puthoff's professional background spans more than four decades of research at General Electric, Sperry, the National Security Agency, Stanford University, SRI International, and, since 1985, as Director of the Institute for Advanced Studies at Austin. He has published numerous technical papers and a textbook (Fundamentals of Quantum Electronics, Wiley, 1969) on electron-beam devices, lasers and quantum zero-point-energy effects; has patents issued in the laser, communications, and energy fields; and is co-author of Mind Reach: Scientists Look at Psychic Ability, Delacorte Press, 1977, and co-editor of Mind at Large: IEEE Symposia on the Nature of Extrasensory Perception, Hampton Roads Publ. Co., 2002. Puthoff works closely with NASA’s Breakthrough Propulsion Physics initiative; is Chairman of the Science Advisory Board of Bigelow Aerospace, involved in the construction of inflatable modules for space applications; regularly serves various foundations, corporations, government agencies, the Executive Branch and Congress as consultant on leading-edge technologies and future technology trends; is a member and officer of several professional organizations; and is listed in American Men and Women of Science, Who's Who in Science and Engineering, and Who's Who in the World; and has been designated a Fetzer Fellow (1991). Puthoff, H. E.& Targ, R. (1975). Remote viewing of natural targets. Research In Parapsychology 1974. Metuchen, NJ: Scarecrow Press. Puthoff, H. E.& Targ, R. (1976). Precognitive remote viewing. Research In Parapsychology 1975. Metuchen, NJ: Scarecrow Press. Puthoff, H.E. (1985). ARV (associational remote viewing) applications. Research In Parapsychology 1984 (121-122). Metuchen, NJ: Scarecrow Press. Puthoff, H. E., Targ, R. & May, E. C. (1981). Experimental psi research : Implications for physics. In R. G. Jahn (Ed.) The role of consciousness in the physical world. Boulder, Co : Westview. Puthoff, H.E. (1996). CIA-initiated Remote Viewing program at Stanford Research Institute. Journal of Scientific Exploration, 1996, 10, 63-76. D. C. Cole and H. E. Puthoff, "Extracting Energy and Heat from the Vacuum," Phys. Rev. E 48, 1562 (1993). See also Fusion Facts 5, No. 3, 1 (1993). B. Haisch, A. Rueda, and H. E. Puthoff. "Physics of the Zero-Point Field: Implications for Inertia, Gravitation and Mass," Spec. in Sci. and Technology 20, 99 (1997). H. E. Puthoff, "The New Vision in Physics and Cosmology," State of the World Forum, San Francisco (Nov. 4-9, 1997). M. A. Piestrup, H. E. Puthoff, and P. J. Ebert, "Measurement of Multiple-Electron Emission in Single Field-Emission Events," J. Appl. Phys. 82, 5862 (1997). H. E. Puthoff, "Can the Vacuum be Engineered for Spaceflight Applications? Overview of Theory and Experiments," Jour. Sci. Exploration 12, 295 (1998). M. A. Piestrup, H. E. Puthoff and P. J. Ebert, "Correlated Emission of Electrons," Gal. Electrodynamics 9, 43 (1998). B. Haisch, A. Rueda and H. E. Puthoff, "Advances in the Proposed Electromagnetic Zero-Point Field Theory of Inertia," Pres. 34th AIAA/ASME/SAE/ASEE Joint Propulsion Conference and Exhibit, Cleveland, OH (13-15 July 1998). H. E. Puthoff and M. A. Piestrup, "On the Possibility of Charge Confinement by van der Waals/Casimir-type Forces," subm. to Phys. Lett. A (1998). H. E. Puthoff et al., compilation of research reports on the laboratory evaluation of novel energy devices, posted on EarthTech Intern'l, Inc.
A. C. Holt, E. W. Davis and H.E. Puthoff, "Space Testing of Electromagnetically Sensitive Materials for Breakthrough Propulsion Physics," Pres. 35th AIAA/ASME/SAE/ASEE Joint Propulsion Conference and Exhibit, Los Angeles, CA (20-24 June 1999). H. E. Puthoff, "Polarizable-Vacuum (PV) Representation of General Relativity," posted to LANL archives. M. Ibison, H. E. Puthoff and S. R. Little, "The Speed of Gravity Revisited," posted to LANL archives. M. Ibison and H. E. Puthoff, "Relativistic Integro-differential Form of the Lorentz-Dirac Equation in 3D Without Runaways," Jour. Phys. A: Math. Gen. 34, 3421 (2001). H. E. Puthoff, S. R. Little and M. Ibison, "Engineering the Zero-Point Field and Polarizable Vacuum for Interstellar Flight," Jour. Brit. Interplanetary Soc. (JBIS) 55, 137 (2002). H. E. Puthoff, "Polarizable-Vacuum Approach to General Relativity," in R. L. Amoroso, G. Hunter, M. Kafatos, and J.-P. Vigier (eds.) Gravitation and Cosmology: From the Hubble Radius to the Planck Scale (Kluwer Academic Publ., Dordrecht, the Netherlands, 2002) pp. 431-446. H. E. Puthoff, "Polarizable-Vacuum (PV) Approach to General Relativity," Found. Phys. 32, 927-943 (2002). H. E. Puthoff and R. H. Pantell, "Tunable Raman Laser," Patent No. 3,624,421, issued 30 November 1971. H. E. Puthoff et al., "Electronic Devices Using Discrete, Contained Charged Particle Bundles and Sources of Same," Patent No. 5,208,844, issued 4 May 1993. Dr. Hal E. Puthoff updated their profile. Dr. Hal E. Puthoff registered at The Parapsychological Association website.